The Ridgewood Palace in Bhiwadi is located in the RIICO Industrial Area. Being located in the Industrial area the hotel is in close proximity to the local eateries and convenience stores. They have a fully equipped conference hall that can be availed by guests who come to Bhiwadi for business. They also offer free high-speed internet to their guests. Moreover, they also offer free parking and airport transportation to their guests. 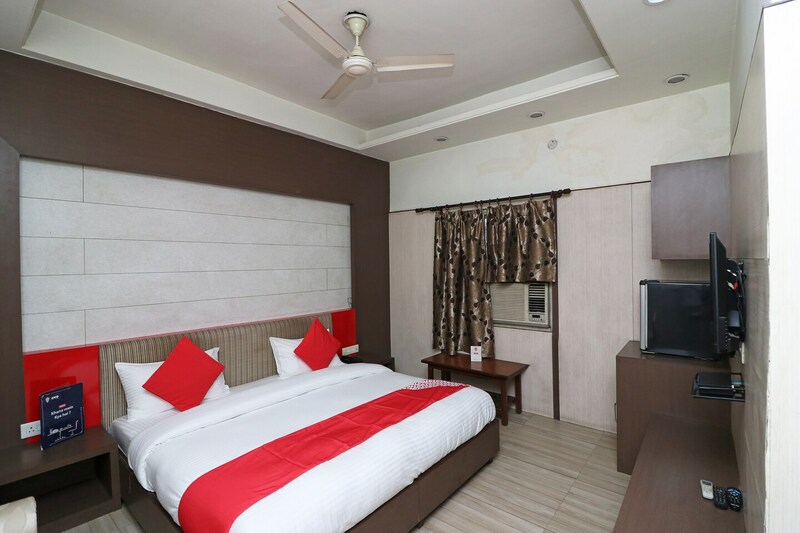 They have various categories of rooms on offer like suites, smoking and non-smoking rooms. Every room is equipped with amenities such as TV, AC, mini fridge, study desk and an attached bathroom. Some nice restaurants to try around the hotel are Pind Balluchi, The Roof Restaurant, Gaban, and BMB.